Dr. Yongge Wang received his PhD degree from University of Heidelberg of Germany. Dr. Wang is a full professor at UNC Charlotte. 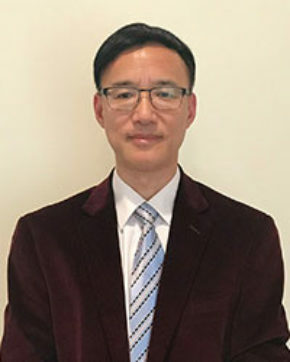 For his academic career, Dr. Wang has published over one hundred peer-reviewed scientific papers that have been extensively cited by his colleagues. Dr. Wang’s academic research focuses on foundation of mathematics, algorithm analysis, computational complexity theory, cryptology (encryption, decryption, and cryptanalysis), fault-tolerant computation, dependable distributed computation, infrastructure protection, secure communications, computer and network security, cloud security, information theory, and post quantum cryptography. Dr. Wang has extensive experience in technology transfer and his work has long-term impact on information technology industry. Previous to UNC Charlotte, Dr. Wang worked at Certicom (now a division of BlackBerry Limited) as a cryptographic mathematician specializing in efficient cryptographic techniques for wireless communications. Dr. Wang has been actively participated in and contributed to the standards bodies such as IETF, W3C XML Security protocols, IEEE 1363 standardization groups for cryptographic techniques, and ANSI T11 groups for SAN network security standards. Dr. Wang is the inventor of Remote Password Authentication protocol SRP5 which is an IEEE 1363.2 standard and is the inventor of Identity Based Key Agreement protocol WANG-KE which is an IEEE 1363.3 standard. Dr. Wang has also worked with Cisco researchers and American Gas Association researchers to design security protocols for the SCADA industry. Recently, Dr. Wang designed and implemented the post-quantum cryptography encryption technique RLCE which is currently under consideration by NIST for post-quantum cryptographic standards.